FFA - Garland Independent School District (Texas) hosted Islamist conference to rally Muslims to fight Islamophobes. Garland Independent School District (Texas) hosted Islamist conference to rally Muslims to fight Islamophobes. Texas school district hosted Islamist conference to rally Muslims to fight Islamophobes. 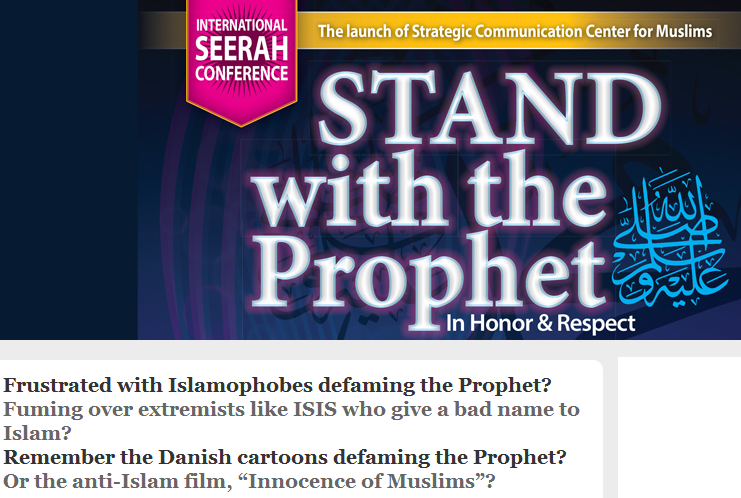 The Curtis Culwell Center hosted a conference titled “Stand with the Prophet in Honor and Respect” that called out “Ready to defeat Islamophobia?” according to the Sound Vision Foundation, “a not for profit organization serving Muslims.” This Islamist rally was held Saturday, January 17, 2015 @. 5:00 pm. The Curtis Culwell Center is a Garland Independent School District property. This is not an event. It is the beginning of a movement. A movement to defend Prophet Muhammad, his person, and his message. Salla Allahu Alaihe wa Sallam. Here are the conference speakers. Wahhaj has been a Vice President of the Islamic Society of North America since 1997 and was a member of the North American Islamic Trust's Board of Advisors from 1989 to 1993. For much more information on Imam Siraj Wahhaj go to The Clarion Project. Abdul Malik Mujahid (one who wages jihad), (according to CreepingSharia) said “Qital [killing] is an essential element of Islam. And sometimes you don’t like it. Qital is ordained upon you, though it is hateful to you, but it may happen that you hate a thing which is good for you, and it may happen that you love a thing which is bad for you….And one example is, now we have 60 or so Muslim countries, and not a single one of them wants to go for Qital and Jihad for Bosnia. Qital is ordained upon you though it is hateful to you." It is truly disappointing that a Garland Independent School District property is hosting an event that is aimed at fighting against honest, God fearing Americans who have legitimate concerns about the Islamist movement in America. Florida Family Association has prepared an email for you to send to voice concerns to Garland Independent School District officials about this event.